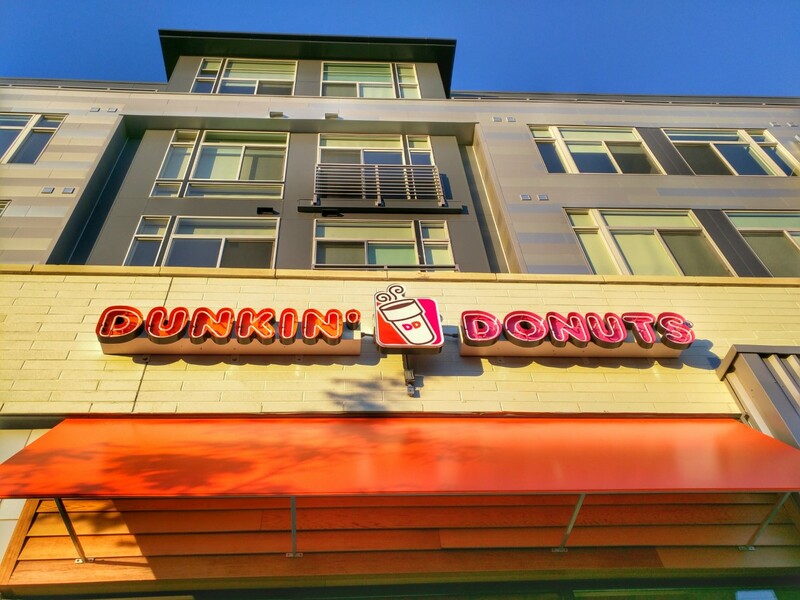 After a delay of a few days, the new Dunkin' Donuts at 1800 Rockville Pike opened its doors on Tuesday. Their rescheduled grand opening celebration will be this Saturday, October 8, from 9:00 AM to 1:00 PM. As planned before, you will still be able to get a free small hot or iced coffee this week through Saturday, October 8. In addition, during the grand opening celebration this Saturday, there will be prizes and samples, and a balloonist and magician. WASH FM will be broadcasting from the store between 10:00 AM and noon during the event. The new location is in the Galvan development near the Twinbrook Metro station. Street and garage parking are available on-site.